ac&e, in partnership with CIARA Technologies, offers CIARA’s portfolio of high performance computing solutions, such as the NEXXUS C deskside cluster system and the KRONOS S line technical workstations. The NEXXUS C system is configured for maximum efficiency in performance, functionality and cost for individuals and departmental workgroups wanting to harness high performance computing without the complexity of traditional clusters. 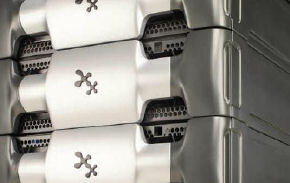 The KRONOS S Line systems are designed to deliver the highest performance optimised solution for demanding simulation applications in the automotive, aerospace, life sciences, energy and other compute intensive markets. ac&e advises customers on the benefits of CIARA’s products and provides ongoing support throughout the United Kingdom and Ireland.